What happens now that china bans foreign waste? The dominant position that China holds in global manufacturing means that for many years China has also been the largest global importer of many types of recyclable materials. Last year, Chinese manufacturers imported 7.3 million metric tonnes of waste plastics from developed countries including the UK, the EU, the US and Japan. 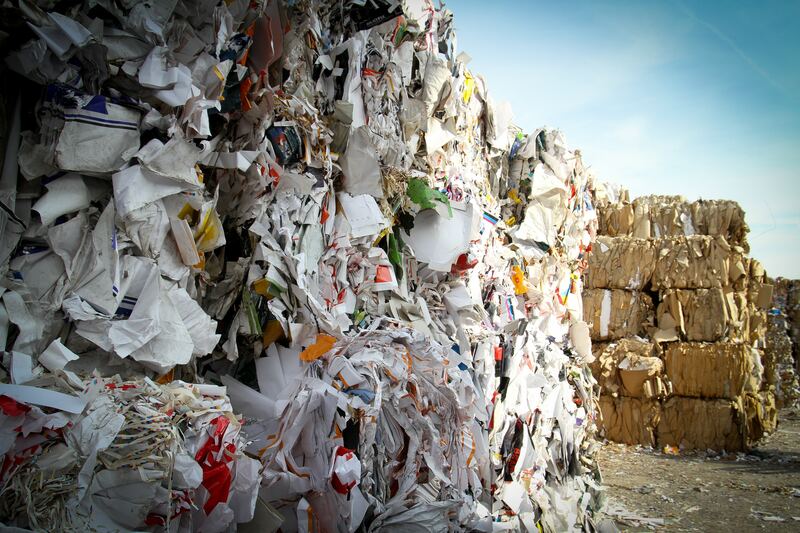 However, in July China announced big changes in the quality control placed on imported materials, notifying the World Trade Organisation that it will ban imports of 24 categories of recyclables and solid waste by the end of the year. This campaign against yang laji, or “foreign garbage”, applies to plastic, textiles and mixed paper. It will result in China taking a lot less material as it replaces imported materials with recycled wastel collected in its own domestic market, from its growing middle-class and Western-influenced consumers. The impact of this will be far-reaching. China is the dominant market for recycled plastic. There are concerns that much of the waste that the country currently imports, especially the lower grade materials, will have nowhere else to go. This applies equally to other countries including the EU27, where 87 per cent of the recycled plastic collected was exported directly, or indirectly (via Hong Kong), to China. Japan and the US also rely on China to buy their recycled plastic. Last year, the US exported 1.42 million tons of scrap plastics, worth an estimated $495m (£373m) to China. So what will happen to the plastic these countries collect through household recycling systems once the Chinese refuse to accept it? What are the alternatives? Plastics collected for recycling could go to energy recovery (incineration). They are, after all, a fossil-fuel based material and burn extremely well – so on a positive note, they could generate electricity and improve energy self-sufficiency. They could also go to landfill. This is not ideal – imagine the press headlines. Alternatively, materials could be stored until new markets are found. This also brings problems, however – there have been hundreds of fires at sites where recyclable materials are stored. Time to change our relationship with waste plastic? While it is a reliable material, taking many forms from cling film (surround-wrap) to flexible packaging to rigid materials used in electronic items, the problems caused by plastic waste, most notably litter and ocean plastics, are receiving increasing attention. One way forward might be to limit its functions. Many disposable items are made from plastic. Some of them are disposable by necessity for hygiene purposes – for instance, blood bags and other medical items – but many others are disposable for convenience. Looking at the consumer side, there are ways of cutting back on plastic. Limiting the use of plastic bags through financial disincentives is one initiative that has shown results and brought about changes in consumer behaviour. In France, some disposable plastic items are banned and in the Britain, leading pub chain JD Wetherspoon has banned disposable, one-use plastic drinking straws in a bid to reduce waste. Deposit and return schemes for plastic bottles (and drink cans) could also incentivise behaviour. Micro-beads, widely used in cosmetics as exfoliants, are now a target as the damage they do becomes increasingly apparent and the UK Government has announced plans to ban their use in some products. This follows similar actions announced by the US and Canada, with several EU nations, South Korea and New Zealand also planning to implement bans. Many local authorities collect recycling that is jumbled together. But a major side effect of this type of collection is that while it is convenient for the householder, there are high contamination levels which leads to reduced material quality. This will mean it is either sold for lower prices into a limited market, will need to be reprocessed through sorting plants, or will be incinerated or put in landfill. But changes to recycling collections and reprocessing to improve the quality of materials could be expensive. Alternatively, recycled plastic could be used to provide chemicals to the petrochemical sector, fuels to the transport and aviation sectors, food packaging and many other applications. The problems we are now facing are caused by China’s global dominance in manufacturing and the way many countries have relied on one market to solve their waste and recycling problems. The current situation offers us an opportunity to find new solutions to our waste problem, increase the proportion of recycled plastic in our own manufactured products, improve the quality of recovered materials and to use recycled material in new ways.